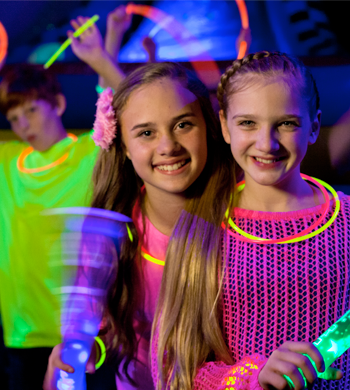 Make any party a Glow Party! Turn down the lights and turn up the fun! The glow party was invented at our location. We have black lights, lasers and disco lights throughout the arenas to create an awesome special effects experience. For the little ones, we will turn on our dimmer lighting to add just enough light to make it suitable for all ages. Neon colors look best. Dress to impress! 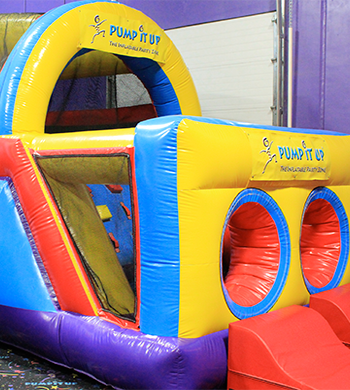 Race your friends through our 40' Obstacle Course to see who is faster! 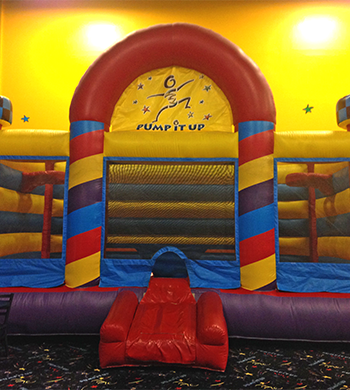 Jump around and have fun taking shots and dunking in our basketball bouncer. For older kids (42" and above), we take out our giant oversized boxing gloves and convert the inflatable into a boxing ring. 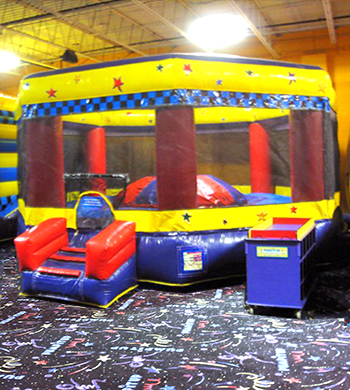 The octagon is a giant interactive inflatable for kids to jump around and have fun playing King of the Mountain on the center pod. For older kids (42" and above), we take out our jousting poles for a gladiator style jousting competition. 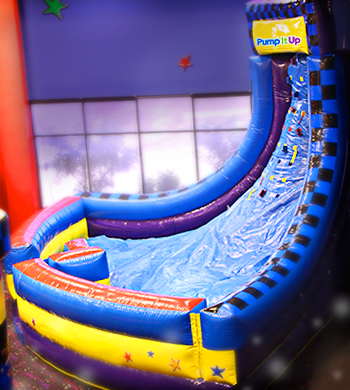 Imagine the fun of the climb and the thrill of the slide! Take the challenge! 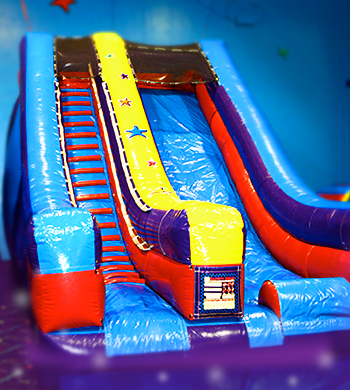 Once our staff hands you the Slippery Slope flag and you make your first attempt at Slippery Slope you'll know why it's our most talked about inflatable! Compete with your friends to see who can get the highest. If you get the Star, your name goes on our Star Club "Wall of Fame". Twice the fun. 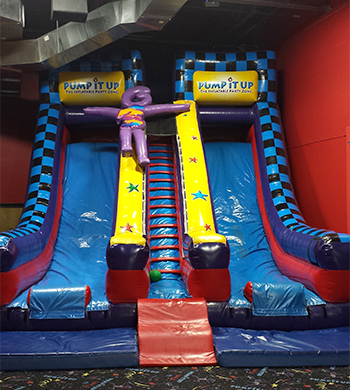 Climb up and race your friends down! 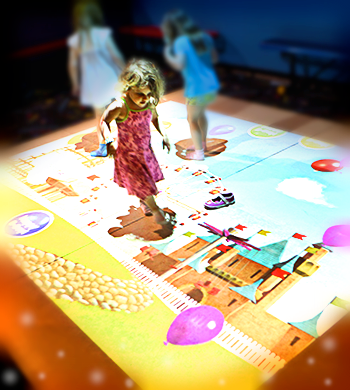 Motion Mania is our interactive flooring system filled with games like soccer, football and hockey. 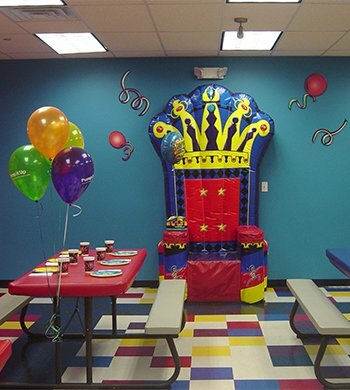 You also have a chance to step on giant bugs, smash candy and jellybeans and pop balloons. 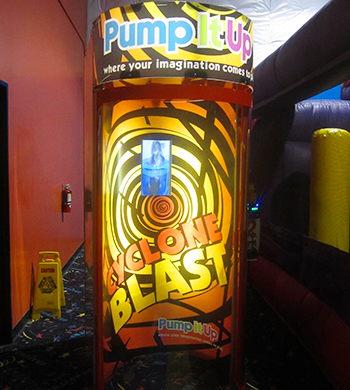 This is gameis a ton of fun and suitable for all ages (and super popular with adults). 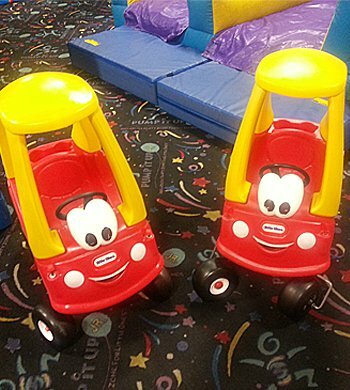 For children who do not meet the height requirement of 34" to play on our inflatables, we have a variety of toddler toys to play with.